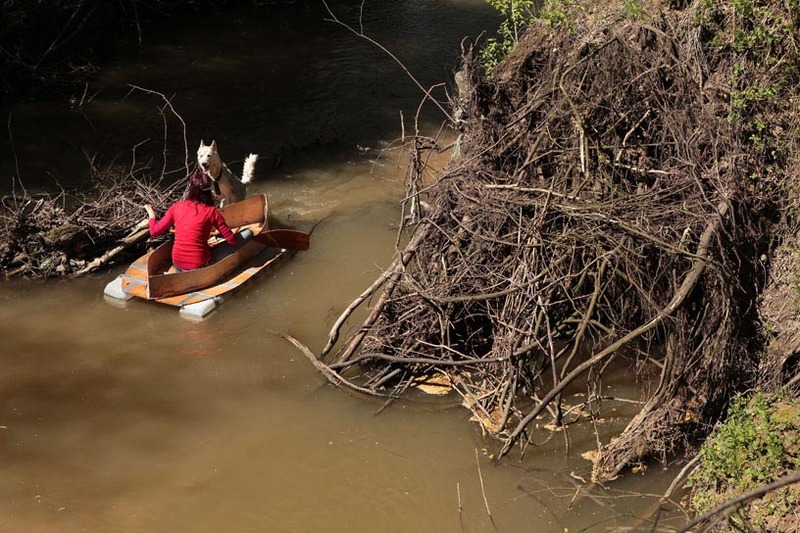 Cecylia Malik, 6 Rivers, 2011–12, photo courtesy Cecylia Malik. –Cecylia Malik is a painter, performer, and educator living in Kraków. 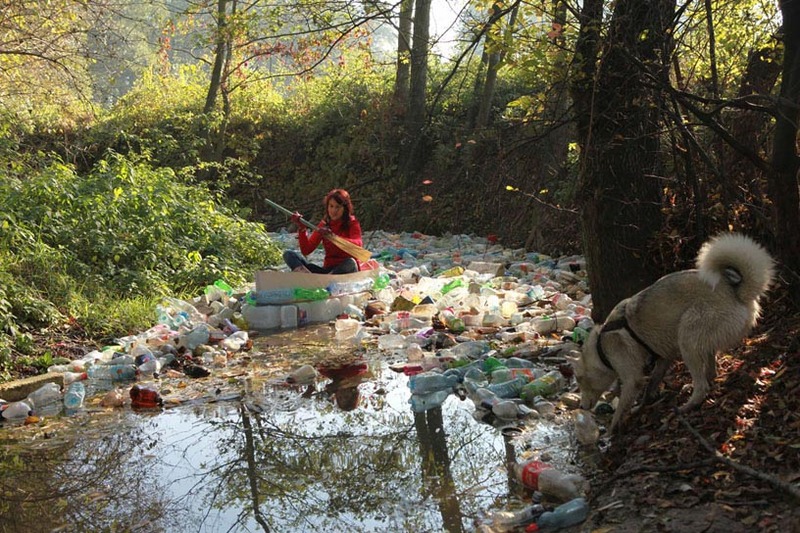 Her work blends artistic practice with ecological campaigns and social activism. The most interesting examples of this practice realized on a 1:1 scale are the projects 356 Trees, the Modraszek Collective (in defence of the Zakrzówek district of Kraków), and the Białka Braids campaign in defence of the natural channel of the Białka River, all of which involved numerous groups. Malik uses tools from the field of art to generate social situations that are suggestive of performance pieces (see: artistic competence). The forms she proposes easily become protest objects that are duplicated and employed by other participants. Simple, catchy, and expressive visual language becomes an additional tool for articulating both the emotions and the demands of the people involved, whether in defence of nature or seeking to rescue the modernist landmarks of Kraków. The 6 rzek (6 Rivers) project was no different. During its realization, Cecylia travelled on a handmade boat along all of the rivers of Kraków, from the administrative boundaries of the city to the point where they flowed into the Vistula. This action culminated in a series of photographs and a documentary, created with Piotr Pawlus, about the six rivers of Kraków. The screening was accompanied by Aquatic Critical Mass, a kind of river festival that was launched in 2012; it has become a regular celebration that unleashes creative energy on behalf of environmental concerns. The report presented in exhibition consists of the film work 6 rzek (6 Rivers), licensed by the Museum of Modern Art in Warsaw, and a boat, loaned to the Museum of Modern Art in Warsaw for the duration of the exhibition. Courtesy Cecylia Malik.